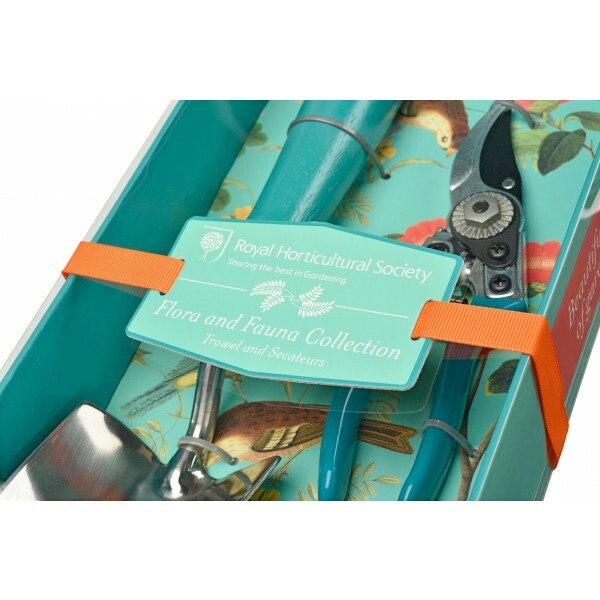 Beautiful gift set, endorsed by the RHS. 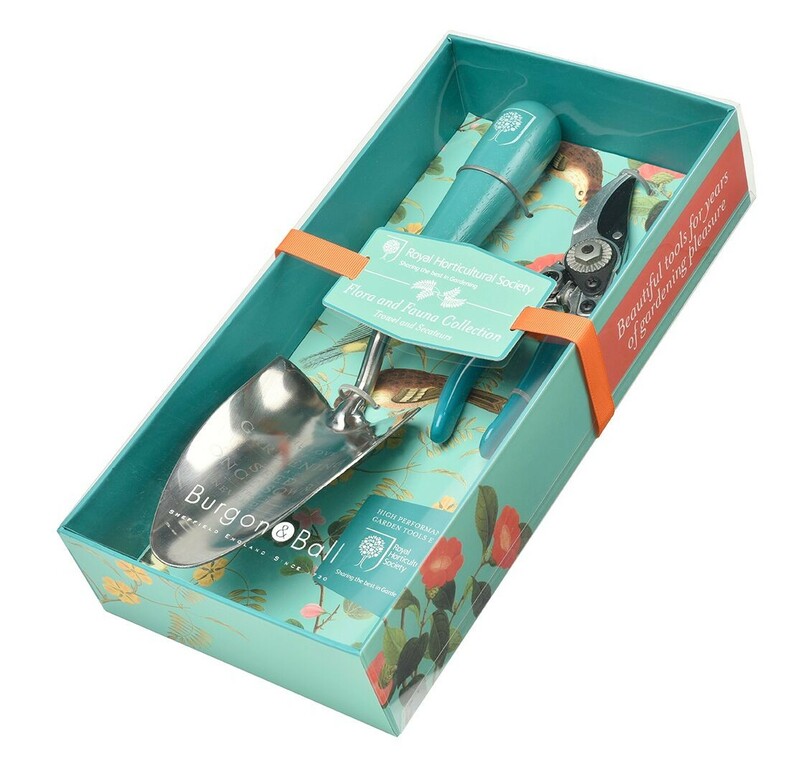 Burgon & Ball RHS Endorsed Trowel and Secateurs in a beautiful presentation box. Secateur blade is fully hardened & tempered high carbon steel blade for lasting sharpness. Robust alloy handles have a comfortable cushion grip. 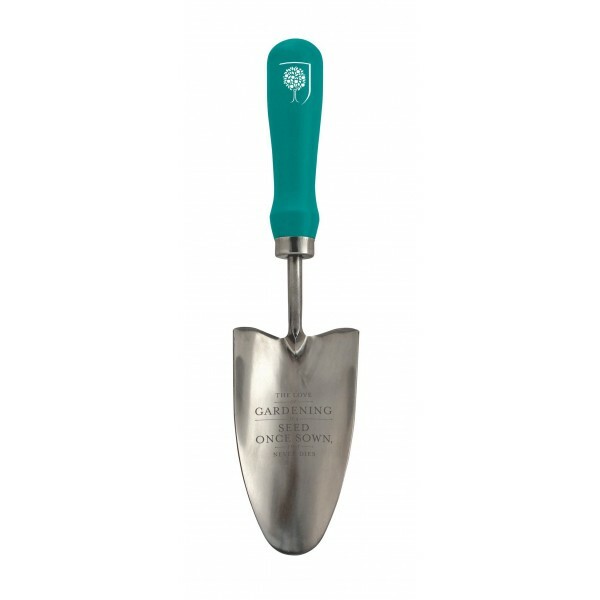 Trowel has a blue painted handle and the trowel head is engraved with the Gertrude Jekyll quote - The love of gardening is a seed once sown, that never dies. 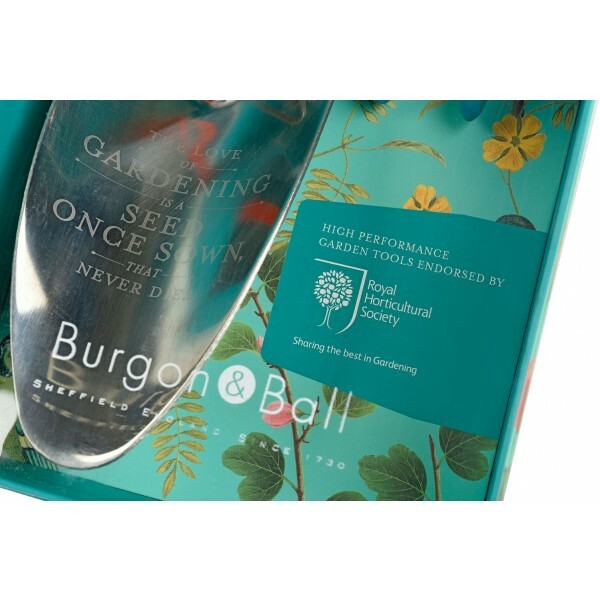 This delightful Flora and Fauna print can also be seen on the Kneelo Garden Kneeler, Twine in a tin and the very lovely Garden Gloves. Please see the We Also Recommend tab above to view these items.